To leave gifts for the children where they would be found. In the hope that Kris Kringle would stop by for a treat. Their names on two packages wrapped up with green ties. "Elves were here! Elves were here!" They screamed with delight. "A pair of pajamas to put on tonight." To start the festivities that will come Christmas morn. Put the sparkle in Christmas, so here's my love to you. The chocolate egg cream at the luncheonette on Prospect Park West was the perfect ending for my Brooklyn day. It had begun with a walk through the Brooklyn Botanical Gardens with a memory that brought me back to Easter Sunday 1947. The sunny day was cool enough for Nancy and me to smile and pose wearing our new toppers and Easter bonnets. On this day last month, the cherry blossoms were no longer in bloom and the Japanese gardens were not quite so colorful. Nevertheless, the gardens were pleasing and quiet. When my friend Landra, her husband Ron, and I left the botanical gardens, we exited onto Flatbush Avenue at the corner of Empire Boulevard. Another memory, this time when I was perhaps 14 or 15 years old. My friend Carolyn and I had pleaded with our parents to allow us to go to the Empire Rollerdrome on Empire Boulevard where our favorite singer, Guy Mitchell, was appearing for one performance. We wanted to hear "My Heart Cries for You" and "Truly, Truly Fair" in person. 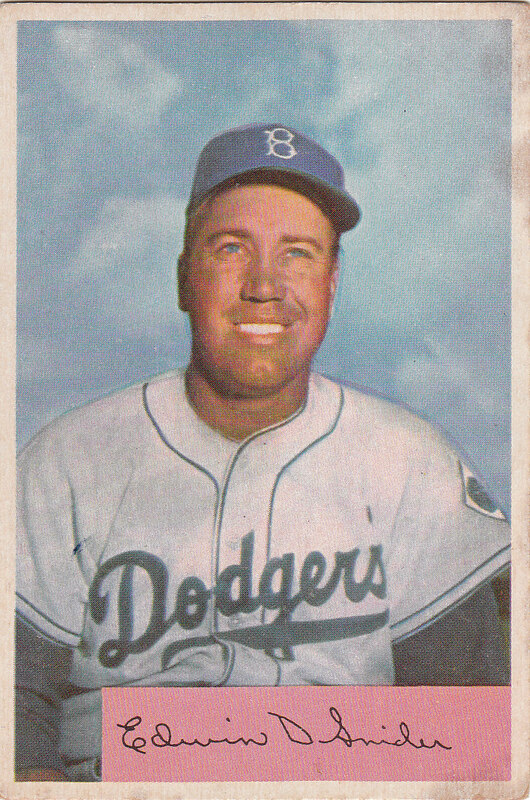 A few blocks away was the Empire Diner where Mom and Dad and Nancy and I sometimes had supper, always keeping an eye on the door for any signs of Pee Wee Reese, Gil Hodges or Roy Campanella. The rumor was that members of the Brooklyn Dodgers sometimes had a bite to eat here after a game at nearby Ebbets Field. After Landra, Ron and I crossed Flatbush Avenue we entered Prospect Park. We skipped the zoo which had been a favorite of mine all those years ago and took the path leading to Prospect Park West. The park was designed by Frederick Law Olmsted who also designed Central Park in Manhattan. There are some who think the Brooklyn park is more lovely. Now that I have more free time, I have decided to use some of it to explore certain areas of the city where I was born and raised. Some recent day trips included the Frick Museum on Fifth Avenue and East 70th Street. My friend Nancy took the bus from Albany and we spent the afternoon visiting what once had been the home of Henry Frick. Each time I go, I make sure to view again video of how this man made his millions and built this residence and an amazing art collection. The Frick, unlike the Metropolitan Museum of Art a few blocks north, is small enough to view all the artworks in one visit. "In 1995, the Coast Guard closed its facilities on Governors Island and, as of September 1996, all residential personnel were relocated. President Clinton designated 22 acres of the island, including the two great forts, as the Governors Island National Monument in January 2001, and on April 1, 2002, President George W. Bush, Governor Pataki, and Mayor Bloomberg announced that the United States would sell Governors Island to the people of New York for a nominal cost, and that the island would be used for public benefit. At the time of the transfer, deed restrictions were created that prohibit permanent housing and casinos on the island. On January 31, 2003, 150 acres of Governors Island were transferred to the people of New York. The remaining 22 acres were declared the Governors Island National Monument, which is managed by the National Park Service." The day we visited there was an art show in a few of the buildings that once housed the U. S. Coast Guard. It's a great place, too, for walking or bike riding or just to view the Brooklyn Bridge, the Statue of Liberty or lower Manhattan. Autumn in New York is a wonderful time, with the theatre season getting underway and museums opening new exhibits. And always, there are the streets where you never know what you'll see or what memories you'll make. Next time: the theatre and the National Museum of the American Indian. Ian is six years old today. I have a hard time remembering when my own Patricia, Jimmy and John were that age so I’m reveling in my grandson’s wonderful personality - smart, funny and endearing. He’s the boy who never fails to run up and give me a hug and a kiss. The boy who remembers my sister, “Nan-a-honey” who’s “the best grandma in Heaven.” (“I hope she has friends there and I hope Jesus likes her.”) I get co-star billing because I’m the best grandma on earth. When I moved from Albany three years ago - after twice-monthly trips down the Thruway - I never imagined that I would gain such joy from being nearby Ian and Maeve. Now I attend Ian’s T-ball games and Maeve’s softball games, watch them both learn to swim, go to Maeve’s piano recital, play restaurant with them, and be amazed at Ian’s dexterity with the Wii Lego Stars Wars games. I wish I’d written down all the wonderful things my three children had said way back when. But the busyness of everyday life often gets in the way. Now, however, Maeve and Ian have given me another chance to enjoy the words of children. On Thursday I’m heading into Manhattan for another day of exploration - this time with a friend who’s familiar with the area around Columbia University. It’s new territory for me, one of the neighborhoods I never walked when I was younger. Exploring Manhattan’s neighborhoods was a regular Saturday afternoon “adventure” back in the 1950s when I was a young teenager living in Brooklyn. My friend Carolyn and I would take the subway at Flatbush Avenue and during the ride into “the city” we’d decide which area to explore. It was the anticipation of finding something unexpected or new or unusual that made these trips exciting for us. One day, we “discovered” the Pulitzer Fountain in front of the Plaza Hotel. Another time we rode up the elevator in the Brill Building on Broadway to see if our favorite singer, Guy Mitchell, happened to be in his agent’s office. Instead, we found the Four Lads who thought we had come to help stuff envelopes. On many Saturdays, Carolyn and I hung around the theatre district and waited outside stage doors to get glimpses and autographs of some of the actors appearing on stage: Audrey Hepburn and Mel Ferrer in Ondine, John Forsyth and David Wayne in The Teahouse of the August Moon, Darren McGavin in My Three Angels, and our favorite, Ralph Meeker, who was the star of Picnic at the Music Box Theatre with an unknown actor named Paul Newman. The trips with Carolyn ended when we enrolled at different colleges and went our separate ways, although we still get together every couple of years and laugh about some of our silly escapades. My three children - all born in Brooklyn but raised in Monmouth County - became “street smart” and still enjoy all that Manhattan offers. After they had grown, I moved to Albany. I still came down to meet friends or go to a show but the trips were infrequent and often sabotaged by snowstorms. When I moved back to New Jersey three years ago, I was delighted to find that there’s a bus outside my door that whisks me away to Port Authority in about thirty minutes. One of my first discoveries since moving back was a little museum I had known nothing about. I had been meandering my way from the Upper East Side to Port Authority when I turned west from York Avenue onto East 61st. That’s when I noticed a small “sandwich” sign advertising a museum shop. A museum? Here? I looked up, past the wrought iron fence and saw the Mount Vernon Hotel Museum. With time to spare before my bus, I walked up the steps and rang the bell. The docent on duty gave me a 45-minute historical perspective and tour of what had been a 1799 carriage house for a 23-acre estate originally owned by Colonel William Stephens Smith and his wife Abigail Adams Smith, daughter of John Adams. The Colonial Dames of America, a woman’s patriotic society, purchased the building in 1924. After extensive restoration to the structure, the Colonial Dames opened the site to the public in 1939. To find out much more about the Mount Vernon Hotel and Museum and Garden, visit http://www.mvhm.org/. If I “discover” another museum or an interesting book shop or an interesting route to walk, I’ll let you know. Meanwhile, if you have any suggestions, pass them on. Going to the movies every Saturday was a ritual while I was growing up during the 1940s. Movies were my main source of entertainment besides the radio and so they became a big part of my life. 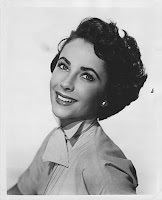 One of the actresses who emerged during that era was Elizabeth Taylor. Beautiful and talented, she went on to make movies for decades afterwards. Unfortunately, her private life garnered headlines too - her many husbands and her serious illnesses over the years. She was also a philanthropist, and a great supporter of amfAR, a coalition of the National AIDS Research Foundation and the AIDS Medical Foundation. In 1981, I had the opportunity to see her on Broadway in The Little Foxes and like a star-struck teenager, I waited outside the stage door to see one of the idols of my youth. Elizabeth Taylor died this morning. She was 79. The Write Word is my new blog that will focus on many aspects of the English language. In addition to Footnotes, I've decided to write regularly about books, grammar, language idiosyncrasies, and anything that fits under the language umbrella. I hope you'll join me and give me your feedback. You'll find The Write Word at http://www.bbackus.blogspot.com/.